Last week I was in Spain for a week and I had an absolutely amazing time with my family and friends. I'm not making a blog post about my spanish trip but you can check all the pictures on my Instagram (@lageorgienne). The thing is we had very sunny and beautiful weather in Valencia, but in Paris it's still changing a lot. 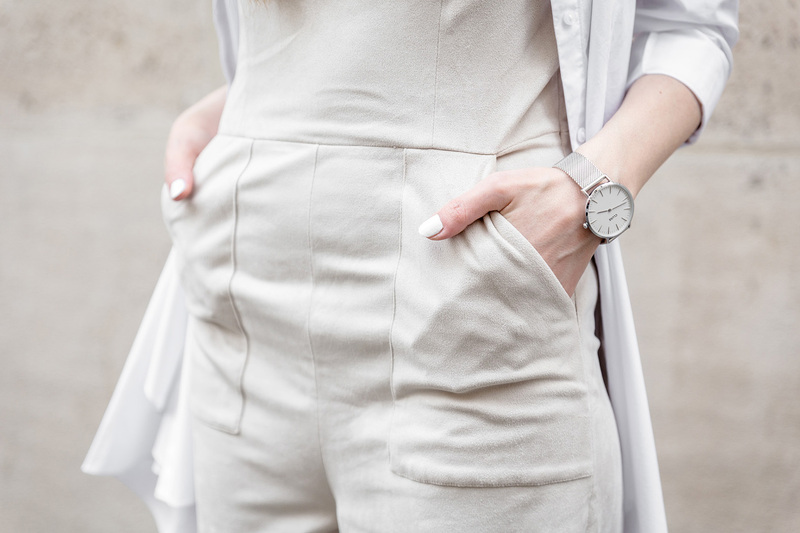 That's why in today's post you will see all neutral colors, which is perfect for this kind weather. I'm wearing the pockets cropped jumpsuit from Mango's new collection (here), long white shirt from COS (similar here), and Sam Edelman cross strap high heel sandals (here). 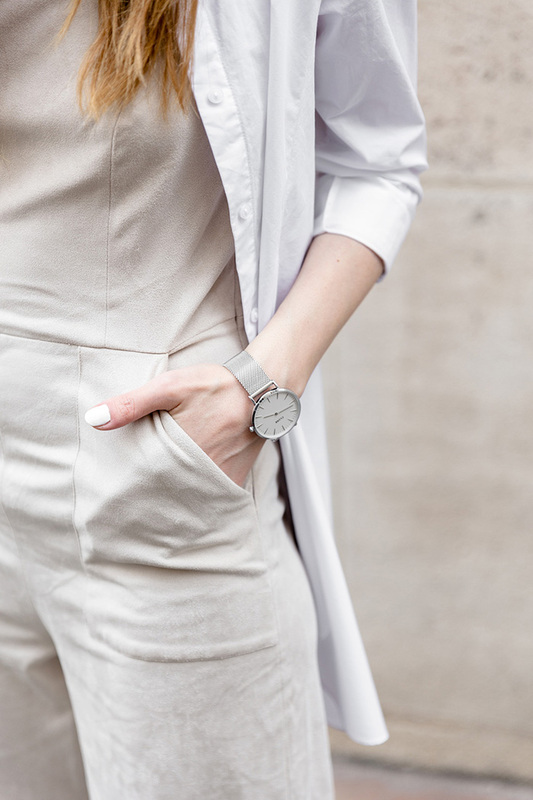 A very especial mention goes to this beautiful Cluse watch (here), which fits perfectly with all outfits. So this is the kind of outfits I wear in this half sunny and half cloudy parisian days. And even if I like them very much, I can't wait to go back to the beach and wear some really summer clothes.